This year's Salary Survey, conducted in partnership with Bloom, Gross & Associates, finds an emboldened workforce secure in the knowledge that advancement opportunities -- and higher pay -- are available in the comms industry. As Chris Daniels reports, the onus is on employers to dig deep to keep or corral the best talent. As the labor market tightens in the U.S., PR employers must accept the unprecedentedly powerful position the workforce now occupies. The 2016 PRWeek/Bloom, Gross & Associates Salary Survey of 1,078 communications professionals tells a story of an employee base that has every reason to be increasingly confident. There is more movement within agencies and corporate PR departments, as well as from company to company. This, in turn, heightens the pressure on employers to fight harder to keep talent, with pay raises an obvious means to do that. The survey found 75% of respondents who have remained at their company in the past year received a pay increase in the past 12 months. And even among those who stayed in the same position, 68% saw their salary rise. And, of course, among those who changed employers in the past 12 months, 81% had a salary increase. So whether they were promoted, retained the same role, or joined another organization entirely, people were getting rewarded remunerably. Salary increases are to be expected when an employee is promoted internally — and, indeed, 93% of respondents among this group reported such raises. However, perhaps more telling is the fact 34% of those who were not promoted in the past year saw a bump between $5,000 and $10,000. Meanwhile, 19% of such respondents saw pay jumps between $10,000 and $25,000. These are significant figures considering the survey tabulated an industrywide median salary of $92,125. When asked if they would be willing to consider a reduced or equal salary at another company to ensure job security, 71% of this year’s respondents said no. That is up from 68% last year and 67% in 2014. That is another indicator of employee confidence — one that employers must respond to accordingly. 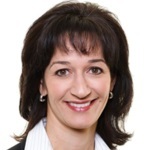 "Companies are rolling out the red carpet, especially in terms of compensation," notes Karen Bloom, principal at recruitment firm Bloom, Gross & Associates. "They understand it’s high stakes for PR hiring leaders. They want the best talent because the business climate is so competitive." And while she reports hiring slowdowns by consumer packaged goods companies last year, which she attributes to mergers and acquisitions, Bloom says, "Everything I hear tells me companies are gearing up to be even more aggressive in 2016." Last year, Edelman hired 2,089 full-time employees globally, which represents 178 more recruits than the previous year. Claudia Patton, chief talent officer at the agency, says, "Most of the people we recruit are top talent; they are not without jobs." As such, salary offers have to be more enticing. Remuneration is calculated with input of executive compensation consultants, while job offers sometimes include commitments to fund new initiatives or projects for them to oversee. "We need to make so many different innovative investments," she says. PR employers are increasingly bringing on new talent with backgrounds ranging from neurology and anthropology to paid media and data analytics. "I can’t remember now if a certain person’s degree was such-and-such or something else," adds Patton. Twenty-three percent of survey respondents said they left another industry to join PR. They came mainly from journalism (31%), but government (8%), legal (6%), and education (5%) all had notable representation. Of greater note, though: 68% of those respondents cited salary as a key consideration in their decision to join the comms ranks. This speaks to a sector that is becoming increasingly attractive, but also one that is abuzz with movement and opportunity. Porter Novelli CEO Karen van Bergen concurs, saying, "There is so much opportunity piquing the curiosity of even the most extremely loyal people who aren’t actively looking." "And that’s definitely a challenge for employers," she continues. "We’ve always been super focused on retention, but because the market is hotter there are more opportunities for talent." been working for another national organization. 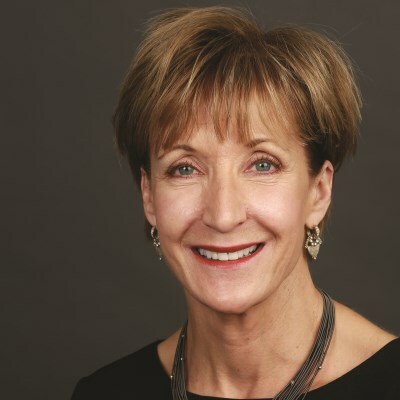 Linda Rutherford, VP and CCO at the airline, says, "We’re seeing candidates from corporate PR, comms agencies in and outside Dallas, some nonprofit, and even MBAs with communications backgrounds applying out of school. In fact, I have more MBAs working for me today than I ever have." Slightly more than one in four (26%) survey respondents had an MBA; up from 20% last year. "If you had asked me 10 years ago if an MBA is worth the investment, I would have answered ‘no’ because I wouldn’t have been able to guarantee they would work on projects that merit it," she explains. "But the world has changed. The counselor role the PR pro holds today is far more cross functional than it ever has been. And the business understanding MBAs bring to the table, while having always been an advantage, are being put to use more than ever." The activity in the marketplace also means organizations and agencies are fighting to keep their best talent. And there are numerous forces at work intensifying the battle. For example, executive recruiters are actively contacting employees at increasing rates. Among survey respondents, 75% have been approached by a headhunter in the past 12 months, up from 73% last year and 70% in 2014. Such activity makes departures even more inevitable, though no less tough to take. 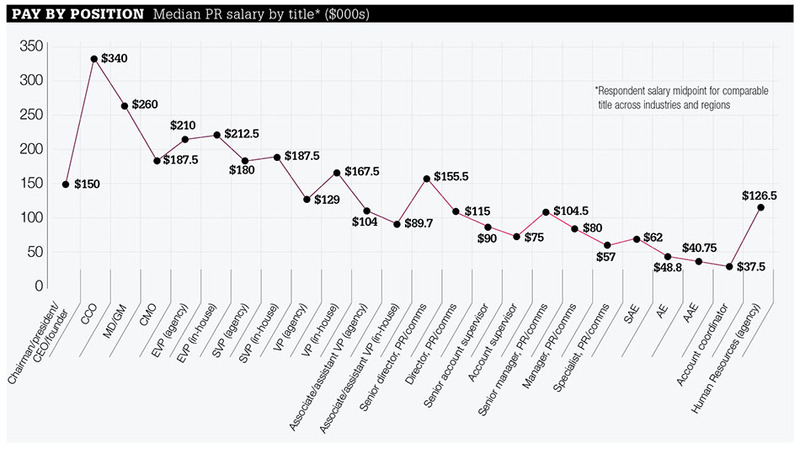 one of the most senior leaders in the company’ or ‘I am going to be given a great deal of autonomy.’"
Jim Delulio, president of executive recruitment firm PR Talent, feels the salary increases being seen in the past 12 months are the result of the strength the industry has exhibited in the past few years. "It’s only been over the past 12 months we’ve seen salaries significantly jump," he says. "That’s because the demand has been sustained for a few years now. We’re seeing candidates secure increases by 10% to as much as 20%. We just placed someone at the mid-level with a $25,000 increase." Cleveland Clinic, one of the country’s top medical centers, has steadily raised salaries for both new hires and its existing staff. In fact, the organization recently promoted 10 employees within its 40-person strong communications department — with a bump in pay accompanying each one. Eileen Sheil, the clinic’s executive director of corporate communications, has internally advocated for bigger salaries within her department. She says they are warranted because of the versatility demanded of her team that could see their focus turn on a dime from new medical advancements one minute to finance or business news the next. "Cleveland Clinic is an $8 billion company with high-stakes demands," she explains. "We need to recruit and retain the best people." Aedhmar Hynes, CEO of Text100, says the Next Fifteen firm’s retention strategy considers that "regardless of the strength of the agency, people may reach a stage when they want to pursue a career in-house, in another location, or another type of agency." She encourages employees to voice those desires "so we can determine whether their needs can be met within Text100 across the world or within our own client base." "When people believe we are invested in their long-term future they make more informed choices," she adds. "This may cause them to stay, delay a move, or, if they do move, know that the door is open should they wish to return. It’s remarkable how strong our alumni base has become and how many boomerang employees we have." PR firms, in-house departments, and executive recruiters all report their search to fill positions extends beyond local limits. Of course, when you’re asking potential employees to relocate, you are also facing unique salary considerations. In the San Francisco Bay area, for instance, talent at the account supervisor level and above "are getting called by internal and external recruiters two or three times a week," says Delulio. "It’s intensive. Agency recruiters are pulling their hair out. Firms are getting a huge amount of business, but can’t find people to service it. 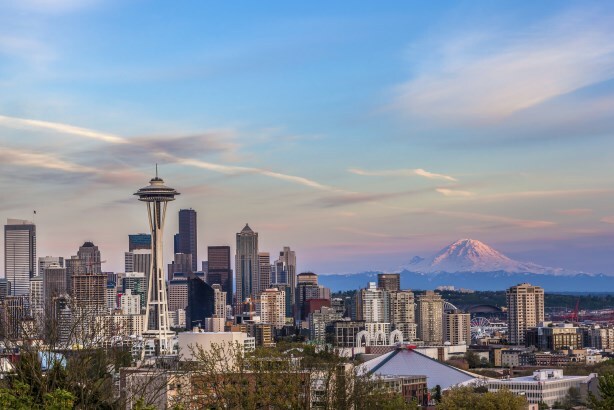 We’re now looking at bringing candidates down from Seattle, Portland, and even Vancouver." Employers in those regions have noticed the trend. "As part of a retention strategy, agencies and companies in the Northwest start to pay their people a lot more," he notes. 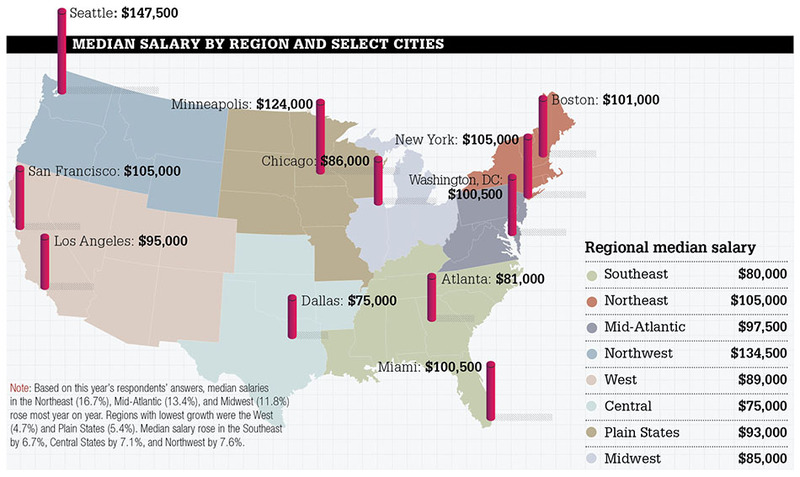 Data gleaned from the 2016 Salary Survey highlights certain cities where the median salary is notably — and perhaps unexpectedly — high. PRWeek spoke to comms agency leaders in Boston, Minneapolis, and Seattle to explain why those towns are enjoying a surge in remuneration. 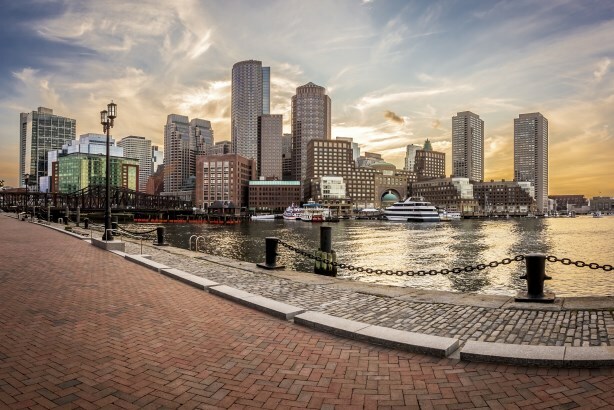 Boston is enjoying a tech boom – and that is driving up PR salaries, says Laura Tomasetti, CEO of 360 Public Relations. "Agencies are paying more for talent because of the kind of work they’re doing," explains Tomasetti, who notes that her firm lost two rising staffers to in-house roles, "both coincidentally to footwear companies in the area." Another factor driving up Beantown salaries: An influx of experienced talent from New York who "are resistant to take a pay cut to get here." 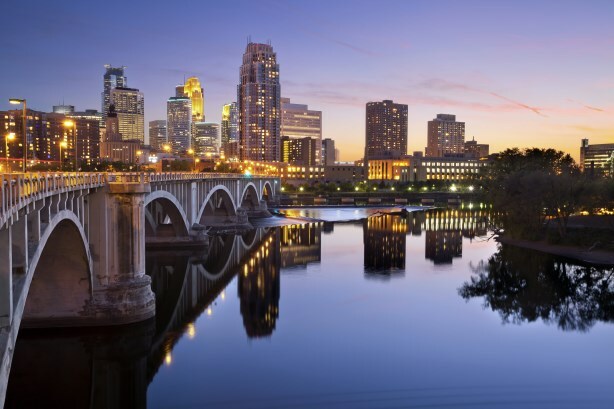 Throughout 2015, Minneapolis had one of the lowest unemployment rates of major U.S. cities. Couple that with a profession looking to recruit from different industries and you have an environment for bumped-up rates. "We’re recruiting from some of the best ad agencies, media companies, content strategy shops, and digital and analy-tic firms," says Julie Batliner, president of Spong. "We’ve had to understand salary ranges in non-traditional areas so we could bring them in to complement our team. That has taken us into different salary ranges." Kass Sells, president, North America, WE Communications, says hiring activity by top brands in the region such as Microsoft and Amazon drive up compensation for all. "This is an incredibly diversified economy," he adds. "It has fast-growing tech companies that aggressively recruit both to and in the market. You also must consider the city’s educated workforce and rising cost of living." Thankfully, hiring decision-makers report their outreach is being met favorably by talent, a sentiment supported by the survey. Fifty-four percent of respondents indicated a willingness to relocate domestically. Of course, a notable salary increase would be required, as 57% of those said the bump would need to be between $10,000 and $50,000, with 31% of respondents falling into the $25,000 to $50,000 range. Bryan Specht, president of Olson Engage, reports, "We’ve seen a big resurgence in hiring by our firm, as well as a lot of other agencies. The growth across the industry corresponds with the economic rebound." A full-time recruiter based in Boston sources candidates for Olson Engage’s presences in San Francisco, New York, Chicago, Minneapolis, and Denver. "We’re actually bringing a couple of new people from New York to Chicago," explains Specht. "We’ve found a heightened willingness by job seekers to relocate, which is probably a reflection of the connected world we live in." Like the other agencies interviewed for this piece, Olson Engage typically doesn’t pick up relocation expenses, but also knows candidates won’t accept anything but a highly competitive offer. "Candidates are well informed on cost-of-living expenses and quality-of-life indexes," says Specht. "They do factor that into their expectations, but that doesn’t mean they’re willing to reduce their salary expectations all that much. They know their worth." Talent at the mid and upper levels are seeing raises as high as 30% with a promotion or employment change, sources tell PRWeek. However, even junior salaries are edging up as companies fight for those showing the most promise early in their careers. "We certainly saw more candidates at this level ask for — and even hold out for more, which has created an interesting dynamic," notes Bloom. "Some companies found they had to offer a little more money than they planned to entice the people they wanted into those junior jobs." "And most clients are willing to do it," she adds. "They are becoming aware that candidates are driving the market, even at the lower mid-level." It is a slightly different story, however, for newcomers looking to secure their first job, who tell PRWeek they felt as if they had little negotiating power on salary. As a result, they say benefits, an employer’s CSR platform, and career pathing became important factors. Before she got a job as an account assistant in Memphis, Sarah Sherlock, PRWeek’s 2014 Student of the Year, interned at Edelman and Susan Davis International in Washington, DC. Moving to Memphis for personal reasons, she found starting salaries more modest because of the lower cost of living. She took an offer with Obsidian PR this past October. She cited generous benefits such as a medical, vision, and dental plan; a holiday bonus of up to 10% of her salary based on individual and company performance; a 401k plan that kicks in after three years; and reimbursement of her professional membership dues. Should Sherlock help lock in a new client, she’ll also be rewarded with a bonus amounting to 5% of revenues brought in by that client after the first year. "All of these things really add up," she notes. Laura Daronatsy, national president for the Public Relations Student Society of America, has a BA in PR from Biola University. In June, she starts at security and aerospace company Lockheed Martin in a two-year rotational leadership development program for early career individuals seeking experience in media relations, marketing, employee comms, and community relations. She says compensation for the Denver-based job was slightly better than expected, with getting every other Friday off a terrific bonus. She credits her six internships for helping steer her toward corporate communications. However, she is "amazed" by the number of internships that paid nothing for full-time hours. paid. She adds that companies also benefit "from a more competitive intern because more people apply." The client side pays more, but I turned down three different offers from the company because I’d have to relocate. I didn’t want to be away from my wife for the amount of time it would take her to find a job in my new city. They came back with an offer to pay for one of us to fly and see the other once a week for a whole year. That unique offer reflected the investment they were willing to make in me. I actually moved for about the same compensation. It had to be comparable or it would feel like a step back. Also, you can make up or improve on [what you’d get paid client side] with bonuses. However, there is more risk in your compensation with an agency because during recessionary years that lack of incentive eats into your pay. When I was younger, compensation was very important to me, but as I’ve gotten older I am less willing to put up with unbalanced work-life schedules and office politics. Salary plays second fiddle to those other aspects. That said, you can make more in-house than agency side, but my last two positions – one agency, one client side – weren’t dramatically different. While an obvious major consideration, money is not the only factor employees consider. Forty-two percent of respondents reported a willingness to make some concessions on salary to secure a job at a company they deem a good corporate citizen. Agencies and in-house PR departments are keenly aware of CSR’s power in recruitment and retention. Many have well-established corporate giving philanthropy programs that include the donation of employee work and time. However, some entities recognize that isn’t even enough. To win the war on talent, they feel obligated to show employees how their day-to-day work is contributing to a greater good. Ray Day, group VP, communications at Ford, says once candidates know they’re getting a competitive compensation package, "we’re finding meaningful work is the most important criteria to attracting talent. People want to spend their days contributing and feeling as if they are making the company, their colleagues, and world a better place." Whether it is during on-campus recruitment drives or job interviews, Day says hiring leaders make a point to talk through some of Ford’s innovation, including around vehicle connectivity and autonomy. "The things we are pioneering at Ford are new to a lot of folks," he reports. "When people walk away from meetings, we want them to think of us as an innovator. That resonates strongly with talent." On the agency side, Olson Engage has completed an internal exercise to formulate a purpose-driven message for its staff. "It matters that we try to do things from a community standpoint," says Specht, "but we must communicate the meaning and impact of everyday work." He notes, for instance, the agency helped drive a massive sales increase for a client, which in turn resulted in a new manufacturing line. driven mission will impact how we market ourselves and talk about some of the things we do." Edelman recently received results from an employee survey, which found four out of five staffers cite global citizenship and volunteerism as important. "Candidates are looking for something in addition to the job and salary," says Patton. "This past year alone we gave away millions of dollars in professional time to fund their nonprofit passions." When asked about base salary, 68% of respondents expressed contentment with it, up from 63% last year. Moreover, 73% claimed at least some level of satisfaction with their overall benefits package. It is no wonder, then, hiring decision-makers say "soft benefits" often not stipulated in an offer can help seal the deal. This includes perks such as flexibility around work schedules and locations and small rewards of recognition. One aspect of this conversation that prompts dissatisfaction, however, is the continuing salary chasm between genders, particularly at more senior levels. Overall, men earn $125,000 and women $80,000. "To move the needle on fair pay," says Barri Rafferty, senior partner and CEO, North America, Ketchum, "we need more people truly committed to it. We must stand up and make pay equity the new norm." Ink PR in Austin, Texas — a 2015 PRWeek Best Places To Work honoree — used to formalize its stance on flexibility. Staffers with the agency for more than three months could work one day a week at home. CEO Starr Million Baker, however, decided even those terms were too rigid for the agency culture. "Flexibility wasn’t a requirement five years ago," she explains. "But now? Absolutely. There are tools in place to get work done regardless of location." M Booth offers perks such as unlimited vacation, summer Fridays, and on-the-spot bonuses, in an effort to create a social currency for its workplace. "If offers are competitive, culture is often the sweetener to closing the deal," says CEO Dale Bornstein, who attributes culture for the firm’s 40% staff increase in 2015, as well as its 80%-plus employee retention rate. To recognize the hard work of its team leading up to the holidays, M Booth created a period called "Thanksgifting," when senior leadership gave staff everything from stockings stuffed with iTunes cards and chocolates to iPad minis for personal use. "Investing back in your people goes a long way, not only in base compensation and bonuses, but also other incentives that really contribute to the culture," emphasizes Bornstein. It’s a candidate’s market right now, thanks to low unemployment in the US and a strong economy. The workforce is emboldened. When asked if they feel their job is under threat due to economic conditions, only 16% of respondents feel it is, which is notably down from 20% two years ago. When asked if they would be willing to accept a pay cut or salary freeze to ensure job security at their current company, 36% this year said they would, down from 40% two years ago. While it would be a mistake to assume it’s all about money, today’s confident workforce expects to be paid well in addition to being given new challenges and benefits, both traditional and out of the box. And they are becoming increasingly convinced that if they can’t get it at their current company, they will somewhere else. In turn, employers are upping their remuneration offers across the board. And they have to, as that is the going rate to keep today’s comms pros content. The PRWeek/Bloom, Gross & Associates 2016 Salary Survey was conducted by Bovitz. Email notification was sent to 77,122 PR professionals and a survey link was posted to PRWeek’s website and various social media channels. A total of 1,078 PR professionals completed the online survey between November 13 and December 7, 2015. Results are not weighted and are statistically tested at confidence levels of 90% and 95%. This article offers only a summary of findings. Additional data and findings are available for purchase in the premium edition of the Salary Survey, which will be available this month here.